Property Info: 2 Bedroom, 2 Bathroom Beachfront Home with 1,100+ sq. 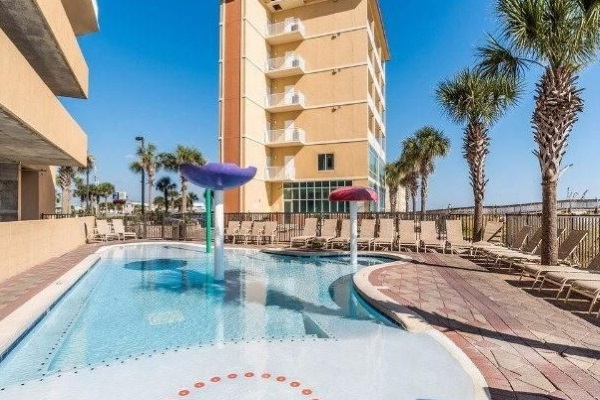 ft.
Gulf Shores AL beachfront condo for sale at Seawind. Furnished Direct Gulf Front 10th floor condo in Gulf Shores. Master Bedroom directly on the Gulf with Balcony, see miles of sugar white sand and blue water. Additional room w/ bunk beds used as 3rd bedroom. First Class Amenities including: Indoor/Outdoor Pool with Splash Pad, Beach Side Hot Tub and Fitness Center. Great location in downtown Gulf Shores all within walking distance of restaurants, Shopping, Beach and More. Wi-Fi/Phone included in monthly dues. Visit: Seawind Condos For Sale in Gulf Shores AL.